Through Hollow Lands a light installation by Lilienthal and Zamora. 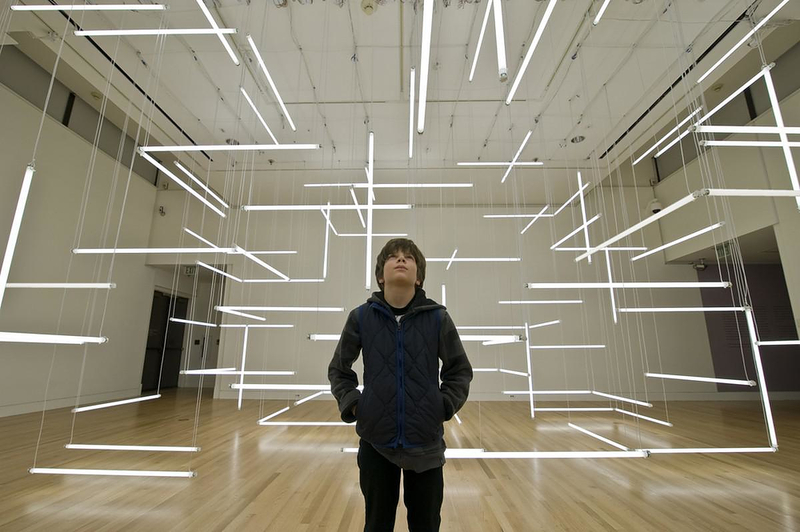 HomeBlogArtThrough Hollow Lands a light installation by Etta Lilienthal and Ben Zamora. Through Hollow Lands is an impressive light installation created by visual artists Etta Lilienthal and Ben Zamora, an illuminated labyrinth suspended in mid-air. 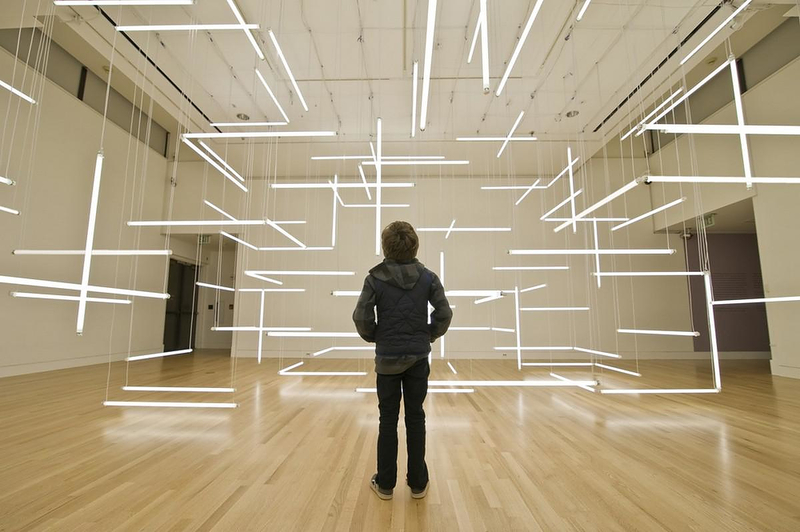 The duo LILIENTHAL|ZAMORA exhibited their geometric and futuristic piece of work at Frye Art Museum in Seattle as it was commissioned by the Frye Foundation. 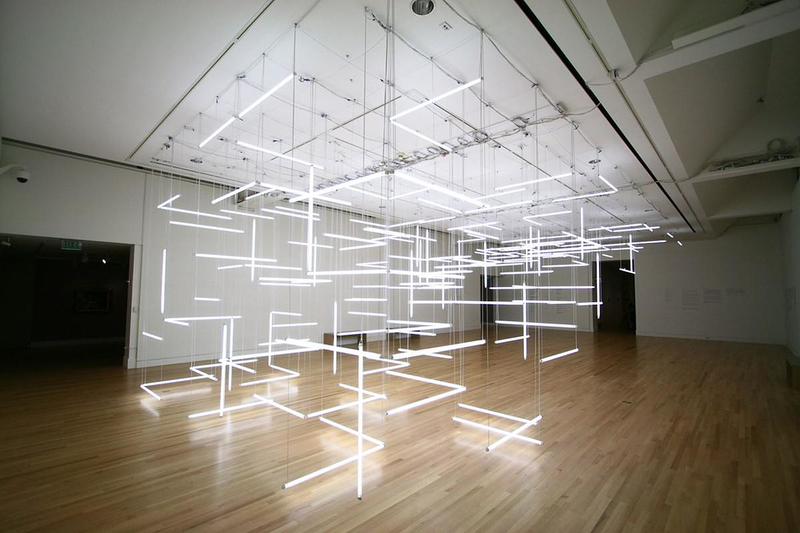 This room-sized light installation is like a small labyrinth of light. 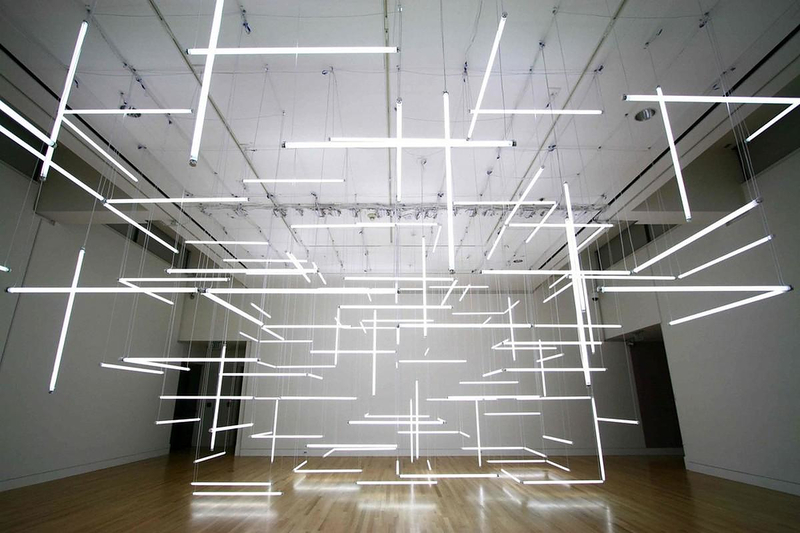 It is constructed from 200 fluorescent lights in various configurations creating a sort of immersive geometric canopy of light. 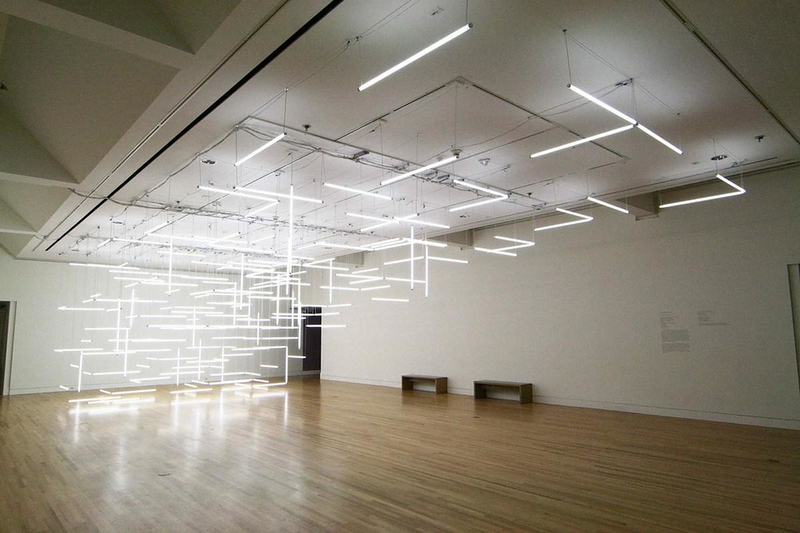 Each piece of these fluorescent tubes hangs from the walls and the ceiling and the only source of illumination in the room it resides in, there is an eerie futuristic vibe present that will mesmerize its audience. At once simple and complex, the Through Hollow Lands light installation plays with people’s perceptions in a subtle way. Those who stare at the installation for too long may actually feel as though they have entered some sort of matrix. LILIENTHAL | ZAMORA is a collaboration between Etta Lilienthal and Ben Zamora, both installation artists who have worked on many striking stage sets.